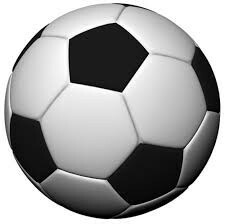 Paraphrases/comedy ladder from the movie "She's the man"
Farce- Viola disguises herself as Sebastian so that she can play soccer at her brother's new school while he is in London. This is farce because there is a mistaken identity in the movie. Low comedy- when Viola shows everyone that she is a girl by flashing them basically. this is to prove to Duke and everyone else that does not believe her. Comedy of manners- when 'Sebastian' breaks up with Monique. really Viola publicly breaks up with the real Sebastian's girlfriend, Monique in the pizza place. this is comedy of manners because 'he' is putting her down by breaking up with her. Comedy of idea's- when the opponent of the other team is rude to there team when they let Viola play the game still even though she is a girl. 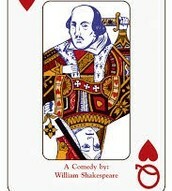 Quote's/comedy ladder from the play "The twelfth night"
Farce- "Conceal me what i am, and be my aide for such disguise as haply shall become the form of my intent." This is farce because she is mistaken identity just like in "she's the man". She disguised herself as in "The Twelfth night". Comedy of idea's- "Cesario, come; for so you shall be, while you are a man; but when in the others habits you are seen, Orsino's mistress and his fancy's queen." This is because they get haply Married while Malvolio stops off mad. Comedy of manners- sir Toby and Maria Wrote a fake love letter, "Why have you suffer'd me to be imprison'd kept in the dark house, visited by the priest, and made the most notorious geck and gull that e'er invention play'd on? "(page 38) This is Farce because they tricked him into believing Olivia likes him. Low comedy- When sir Andrew and Sir Toby are making fun of Cesario. This is because they have bad hummer against him. 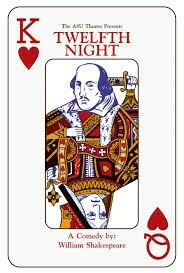 This describes the play because this is a Twelfth Night playing card and it says on the bottom that it is by William Shakespeare. This describes the movie because of how she disguise herself as a boy just so she can play soccer.